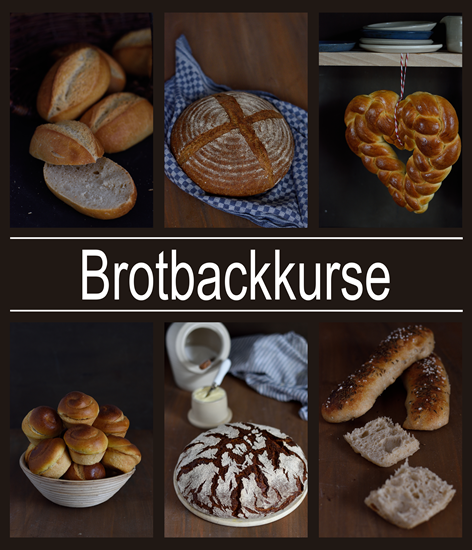 Inspiration is a strange thing: there are phases with only few ideas and then there are phase when my mind is so full that I nearly don’t know which bread I should bake first. At the moment I have so many recipe drafts waiting to a test bake. And then comes a new recipe idea from a reader and sometimes I like the idea so much that it overtakes them all. 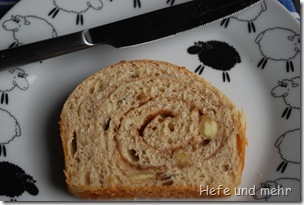 When I have some old sweet rolls I love to use them in the swabian variation of bread pudding. 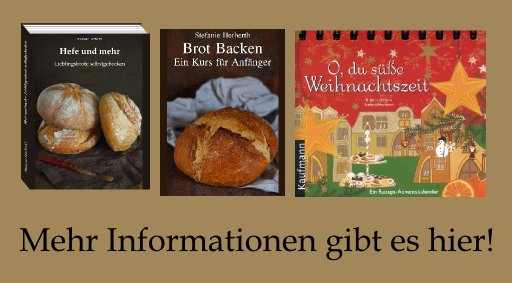 It is called “Ofenschlupfer” and consists traditional of sliced rolls and apples, soaked with eggs and milk, sprinkled with sugar and baked until golden. It is one of my favourite dishes of my childhood. 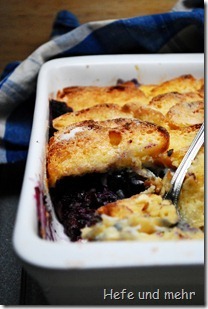 Today I prepared a variation of the traditional recipe and used blueberries instead of apples. … or the pizza dough who wanted to be a bread. 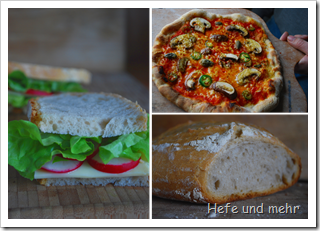 I just planed to bake a simple pizza. But after JT’s delicious rustic bread I though that I should try another pizza dough variation with Sourdough and Poolish. And after kneading I could already feel how good the result would be. The gluten structure was very nice and the dough rose very good. After folding the dough the first time I knew this dough has to become a bread. 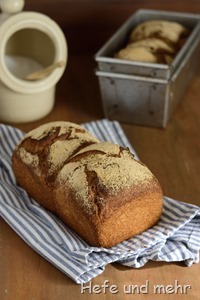 When Steve of Bread Cetera posted a recipe for Multigrain bread recently I knew that this is a recipe I had to try because I love any kind of Multigrain bread! Autumn means to me: red leaves, apple scent and orange pumpkins. 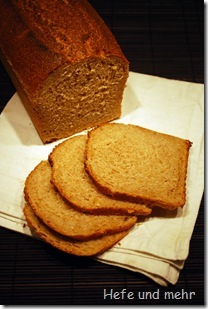 So what is a better bread for autumn then a pumpkin bread? 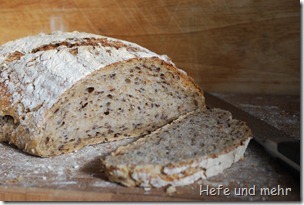 The basis for this bread was a recipe for simple bread with poolish, I just replace the water with pumpkin puree. 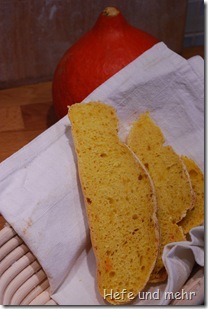 My pumpkin puree contains some water, so I get a soft dough and did not need do add some water. I am back from my holidays and I am back in the chaos. The lab I am working in is moving into a new building and after two years of postponeing the university preponed it now. So instead of having a whole week to pack my stuff in lab only the weekend was left. When we came back I go dirctly to the lab. I was so relived that I sorted everything in advance! The moving itself was very exhausting and I was to tired to write something in my blog or even to read other blogs. But the main part is now done and today I have a day off because we have a security inspection. We Ph.d. students should stay away because the less persons are around the less mistakes can be done (like entering a lab without labcoat). So I decided to replace raisins with almonds. The recipe was inspiered by Steve and Sara. My family loves baking, and Sarah, the best friend of my little sister, loves it, too. 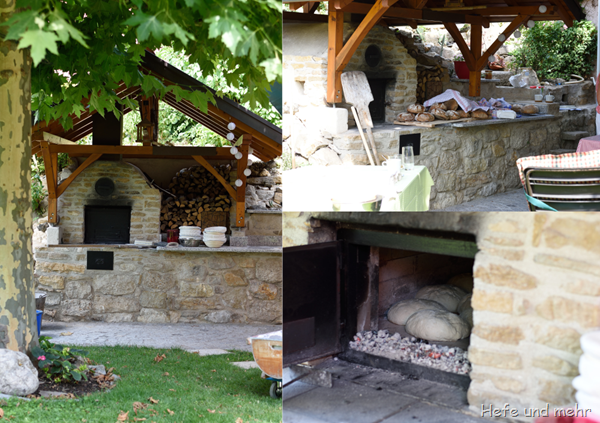 So our last Mother-Children-Friends-Day had a motto: Bread baking. We bake pretzels and Kaiser rolls. Baking in a group is so much fun! 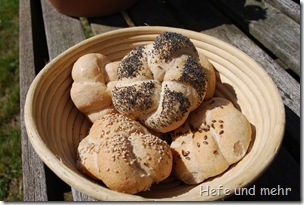 I found a recipe for Kaiser rolls some time ago at chefkoch.de, and bake and blog about it, but I was never really satisfied with the taste. 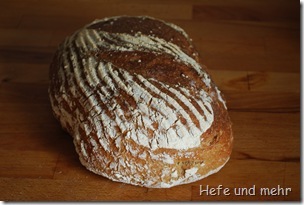 I missed the complex flavors that the diffrent types of preferments give to a bread.